Press statement concerning the 2007 lab closing. The PEAR Proposition: video about the PEAR work. Click to watch larger version. From PEAR's well-established program of empirical and theoretical research has emerged a 501(c)(3) not-for-profit organization called International Consciousness Research Laboratories (ICRL), a multi-disciplinary consortium of scholars with a shared commitment to collaborative exploration of the role of consciousness in physical reality. 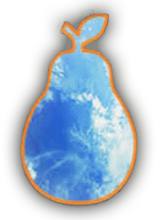 This community now comprises several dozen colleagues from a wide range of nations and disciplines who have been closely associated with PEAR over the past quarter century. ICRL will extend the reach of PEAR's research and educational interests into many other scholarly venues, and will serve as a vehicle to carry forward its mission. For more information, visit www.icrl.org. Psyleron was founded in 2005 by PEAR affiliates, and Jahn and Dunne serve on its board of directors. It provides REG tools to explore the influence of the mind on the physical world, that can be used in quantitative research experiments, for self-reflection, or as fun devices that provide a window into a whole new area of scientific and personal exploration. Psyleron also collects data from users as part of an ongoing effort to deepen the understanding of the nature of mind-matter effects. For more information, visit www.psyleron.com. Over the years, several members of the PEAR staff have served as officers or councilors of the Society for Scientific Exploration (SSE), a unique international and interdisciplinary professional organization. SSE is devoted to open but critical discussion and publication of research in many areas of frontier science not adequately covered by more conventional scientific organizations. It holds annual international meetings in the U.S., bi-annual meetings in Europe, and occasional topical symposia. It also publishes the archival peer-reviewed Journal of Scientific Exploration, a reservoir of documentation for much of the current scholarly research on consciousness-related anomalies, along with other areas of controversial contemporary study, and EdgeScience, a popular quarterly magazine that offers articles on a wide range of anomalous topics. The society has also created a Young Investigators Program in response to the growing interest of younger scholars in the topics addressed by SSE. For more information, visit www.scientificexploration.org.